Eichler Homes: Eiffel Tower? Or Throwaways? To true Eichler fans, the invective that some people throw at the poor homes can sound astounding. 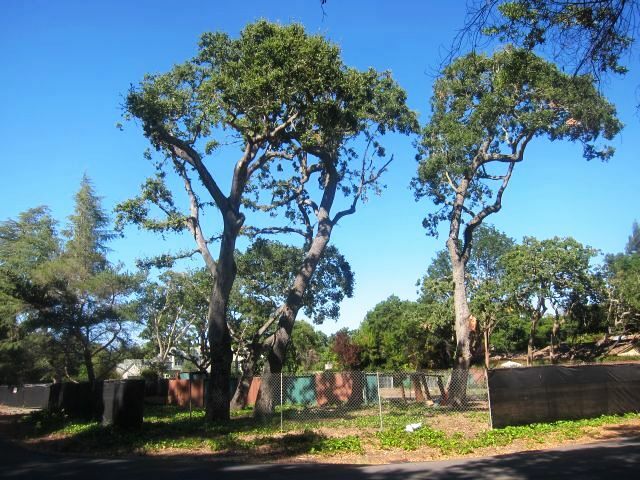 Nowhere is this clearer than in recent discussions about how to save the Eichlers of Palo Alto. 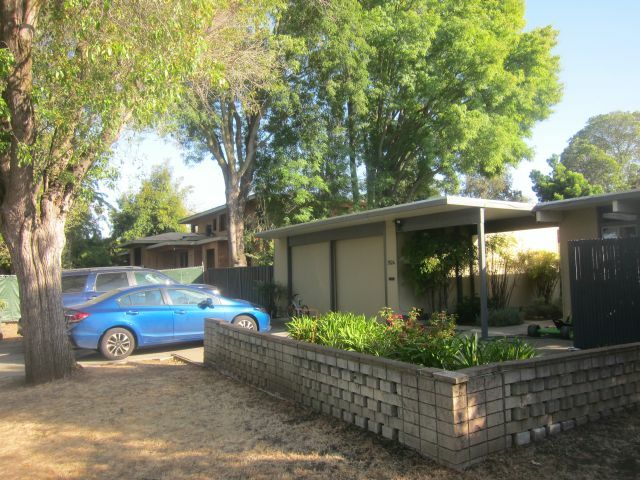 A group of Eichler owners, after watching one, then another, of these mid-century modern tract homes falling to make way for much larger, and infinitely blander, replacement homes, has asked the city of Palo Alto to create ‘single-story overlays’ to protect Eichlers throughout town. 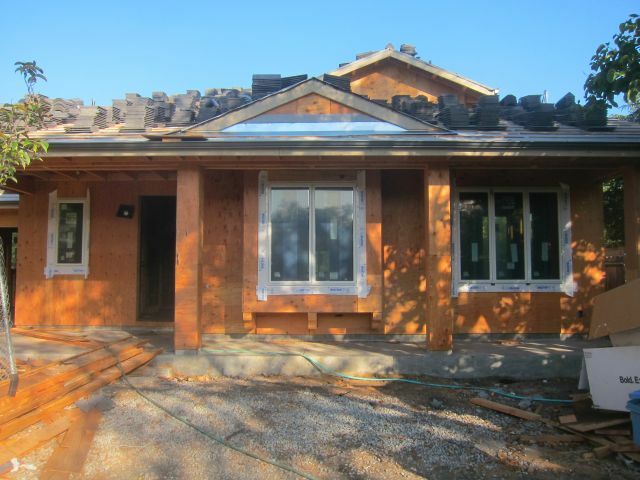 The zoning, which is already in place in several Eichler neighborhoods throughout the Bay Area, including Greenmeadow in Palo Alto, would ban second-story additions and two-story replacement houses. The charge is being led by a newly formed group, the Palo Alto Eichler Association. Its members include neighbors of a house that was demolished on Louis Road, and another on Richardson Court, and people from other Eichler neighborhoods as well. 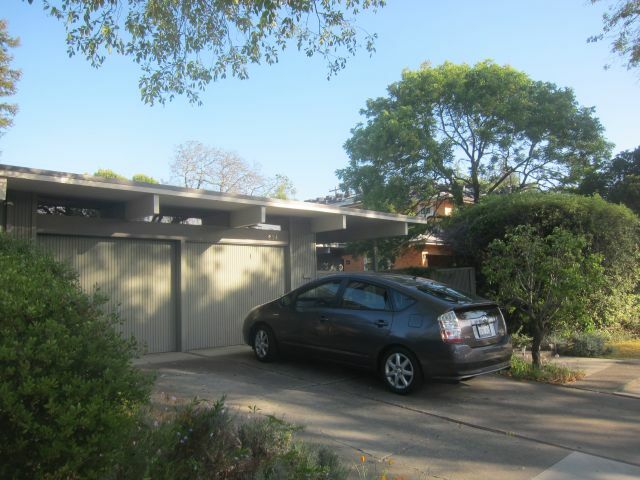 Another Eichler, on Corina Way, is also slated to be replaced by a new, larger home. 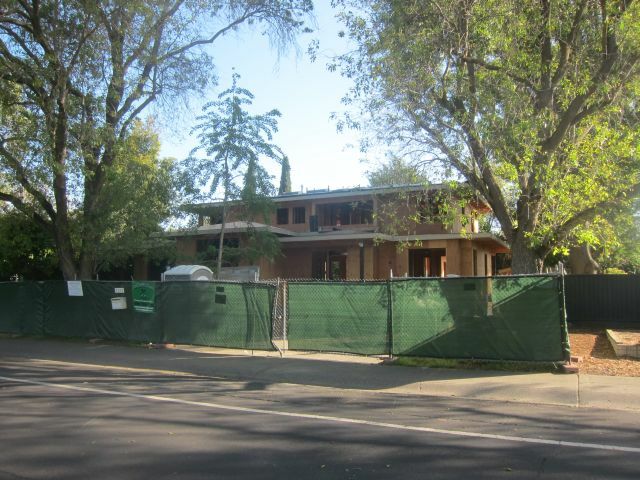 In addition, in the neighboring city of Atherton, an amazing very early custom Eichler home recently bit the dust to make way for a larger replacement, despite attempts by fans to preserve it. Success in their endeavor is far from certain, as neighbors must win the backing of 60 to 70 percent of their neighbors to get such zoning. The depth of the challenge becomes clear when reading through the many comments posted – anonymously, as too often is the norm these days – on the website of Palo Alto Online, which reported on the proposed overlay zone in May. Some of these comments are from neighbors of Eichler homes, and others are from people who actually live in the homes. Fair enough, and nothing new, about the radiant heat and insulation. But why should a house be the Eiffel Tower? And how many tract houses, anywhere, are as architecturally distinctive in a modern manner as Eichlers? Few. But to many people, including our anonymous writer from Crescent Park, distinction in a home is not a primary value. More important is the ability of a property owner to do what he or she wills with his property – a common comment. But what do we mean by improve? If we mean “get a bigger house,” that’s right. But look at the homes that are replacing our sleek, glass-walled Eichlers. They are huge hunks of stylish nothing. Then we have comments from folks who just simply know much more about Eichlers than anyone else. How did they get this knowledge? Why, directly from Joe himself. Oh, maybe not quite directly. Ah! We get it. Eichlers, like World War II Quonset huts, were temporary structures, like earthquake shacks after the 1906 quake in San Francisco, or those formaldehyde-laced huts supplied to victims of Hurricane Katrina. “Eichlers are all about letting in light. So when someone tears down and builds a two-story McMansion in an Eichler community, they are destroying that community. It doesn't work the other way, however. Eichlers need to be together to work, so it is only natural that these Eichler communities would want a single-story overlay protecting the intent.